If you are looking for a high quality mild cigar, I have the perfect suggestion for you. Why donâ€™t you try out the Montecristo White Especial No. 1 cigar? The length of this cigar is 6 5/8 inches â€“ just right for a long leisurely smoke. The ring gauge is 44 and it has an Ecuadorian Connecticut Shade wrapper. That is, the wrapper has a pale creamy tan color, which gives you an idea of just how mild the flavor is. The binder is Nicaraguan while the filler is a mixture of Nicaraguan and Dominican. Naturally, being a Montecristo, you already have an inkling of the high quality of the cigar. On the outside, the White Especial No. 1 is firm to the touch, without a doubt packaged excellently. But what about the flavor and the smoking experience itself? The initial draw will give you a very light tobacco flavor. Thatâ€™s about it, really. You do not get any hint of woodsy flavors or anything else. Itâ€™s pure tobacco, albeit very mild. As you continue smoking the cigar, you might find yourself expecting the flavor to develop or perhaps intensify. To be honest, though, the mild tobacco flavor stays consistent down to the last draw. Now this is not a bad thing if that is what you are looking for. However, if you want something stronger, then you might not be satisfied with this cigar. On the upside, the cigar burns very well all throughout. There are also other variations of the white cigar at Altadis USA. Check them out and tell me what you think. People may not know it, but unlike the usual product purchases by consumers, bundling consumer goods is preferred since they give value for their money. In the world of cigars this is totally different. Sure there will still be the presence of getting their moneyâ€™s worth but in the cigar industry, bundling is often associated with selling second rated cigars that may not meet the standards of the professional cigar smoker. Preference for quality smoked cigars is a given and it is no mystery why people would prefer buying cigars as individual sticks rather than in bulk. The bundled or second cigars will still possess the same smoke and tobacco, but for the experts, identifying the difference can be determined in the taste that these cigars would have. Cigars are usually tagged depending on their point of origin such as Nicaraguan Bundles, or brands such as National, Baitoa and La Floridita. Building brand awareness in the category of cigars takes time, ironically similar to smoking quality cigars which would preferably take 6 to 8 weeks of aging before they are offered for sale to the cigar enthusiasts today. It seems to me that this cigar is all the rave today. 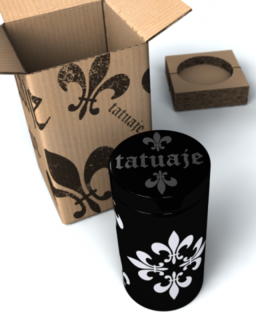 Everywhere you go, youâ€™ll hear about the Tatuaje Black. I have not had the chance to try one myself but if I were to base my decision on the personal reviews that I have encountered online, I would have to get me several pieces of this cigar. First things first, the black label looks fantastic. Iâ€™m a huge fan of the color black and I just have to say that I love the label on this cigar. Another great looking thing about this cigar is the wrapper. It reminds me of that â€œOscuroâ€ wrapper from Illusione. Its dark, but not really dark, but still darker then most wrappers. 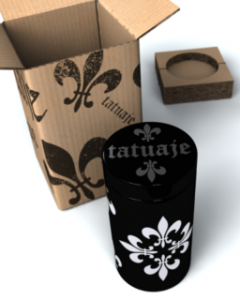 As you may know, I like to smell the foot of my cigar, but when I smelled the foot of the Tatuaje Black, I got nothing. Itâ€™s probably because its covered by the wrapper. Which is a nice touch and something I wouldnâ€™t mind seeing on other brands. Construction is firm, the cut on the cap was perfect and Iâ€™m ready for the light up. As I bring the smoke in through my sinuses I get flavors of rich dark chocolate and espresso bean with not a touch of harshness at all. It has a nice long salt and pepper ash that seems like it could hold on forever. The smoke is actually dry, which is somewhat surprising, as well as smooth and refined, I expected a lot of oomph from this cigar, but its real nice and refined. As I smoke, the espresso flavor intensifies but fades to a nice anise and woody mix and rich tobacco at the heart of the flavors. The draw was nice and easy as I began to really enjoy this smoke. The burn was dead-on even the whole way through, a sign of top notch construction.